Free games: We have 1000 Steam keys for the Xenon Racer closed beta on February 1st! It’s disappointing that we’re currently in the year 2019 and we still don’t have flying vehicles. Where is the future we were promised? Ok, let’s say that it does happen some point soon – a genius invents a way to not only make flying cars viable, but for them to be cheap and safe enough to roll them out to the general public. What happens then? Xenon Racer is a game that explores this exciting possibility and we have 1000 Steam keys to get you into the closed beta starting February 1st. Set in the year 2030, Xenon Racer’s world is one that’s moving away from land-based cars and towards ones that can fly. But that’s one hell of a transition to undertake especially if you’re a racing team. That’s why the official racing federation has put a pause on a whole season of races. But you can’t have no racing in a world that craves it. To fill the gap, a rogue championship for rookie drivers is set up by the top hybrid car manufacturers. In Xenon Racer, you participate in this championship, driving a rip-roaring vehicle powered by electricity and Xenon gas to reach incredible speeds. 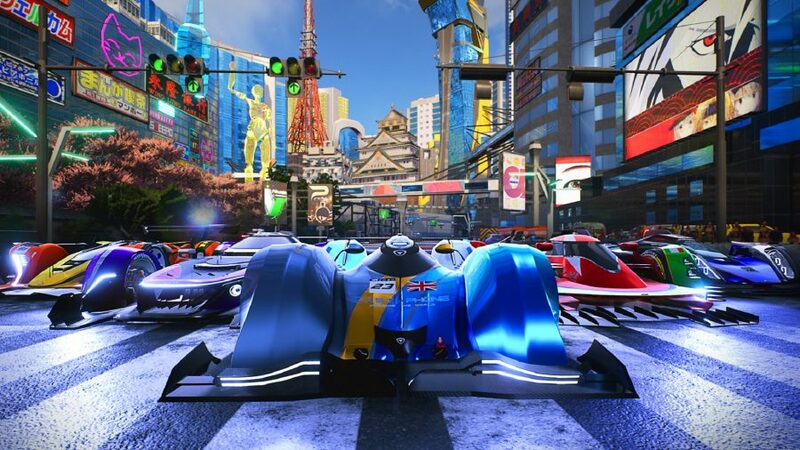 The single-player mode of Xenon Racer will have you boosting and drifting around various cities around the world. But you don’t have to content with racing against AI, as the game also supports split-screen showdowns and online multiplayer championships. You might not get access to all of that in the beta but the full game will certainly have it all included when it comes out this March. Right then, if you want to be one of those 1000 people who gets into the Xenon Racer closed beta this February 1st then you’ll need to enter the competition via the widget below. Every action you complete is worth one entry into the giveaway, with the more actions you complete increasing your chances of winning.